A lot of originals of these spearheads have been found. 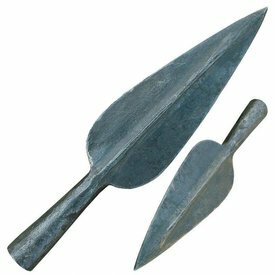 They were used between the 7th century BC and the 1st century AD, presumably for both javelins and stabbing spears. 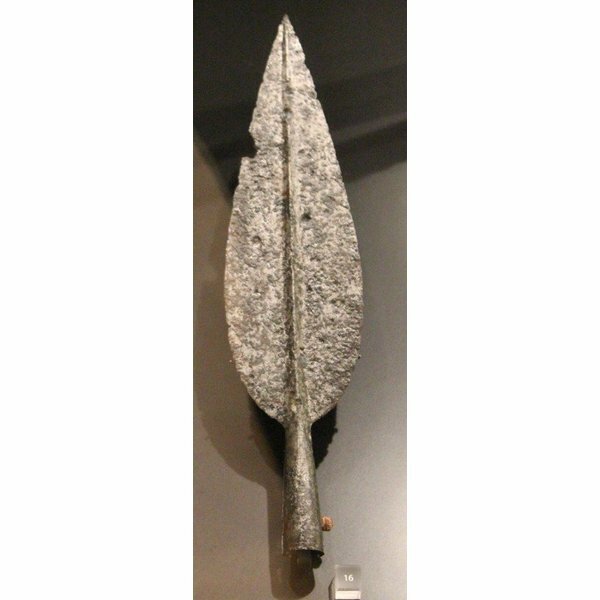 The length of the spearhead is 22 cm, its width is 5 cm and it has a shaft ring with a diameter of 2 cm.